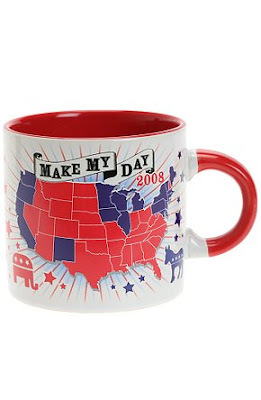 Your hot beverage turns the blue states red! Take that, agonizingly long democratic primaries! More pics here. That is awesome! And for $5, how can you pass it up?!? You're a very political person, aren't you?